This month, 85 bandsman and 15 art students travelled to Chicago to experience “the windy city” at its best. 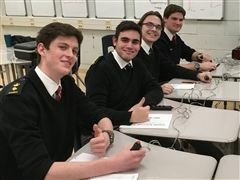 The Senior Reach Regional Tournament was held on Thursday, April 4 at St. Augustine Catholic High School in Markham, Ont. No matter the age everyone enjoys a good story. Especially when it is told by someone who has mastered the art of storytelling. SAC’s Director of Music, Sandi Chasson, is heading up the 2019 Conference of Independent School Music Festival (CISMF). There were pipes and drums and so much more at this year’s Celtic Concert. 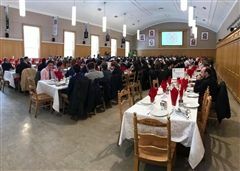 On February 19, a group of 10 SAC Upper School students attended the Toronto Youth STEM and Innovation Conference (tysi2019.com) at the MaRS Discovery District in downtown Toronto. Congrats to all members of Saints Nordic Ski team for a tremendous day at the COSSA/CISAA combined championship race today at Lakefield College School. This past weekend SAC DECA went to the Sheraton Centre to compete at the DECA provincial competition. 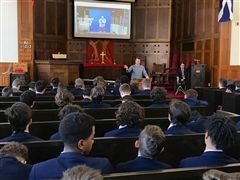 The first career lunch for grade 11 students featured an anesthesiologist and the boys were far from asleep during his presentation. Our Saints made us proud at the Pan AM pool in Markham on Wednesday, January 30. 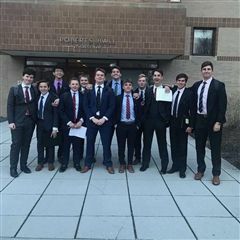 With a thrilling 5-3 victory over Shattuck-St. Mary’s, the St. Andrew’s College Saints won the 2019 MacPherson Hockey Tournament title. First Squash members are showing a lot of improvement and we saw some great wins yesterday by Caden McHenry, Charlie McDonald, Ryan Sutherland-Pace, and Jason Garner. 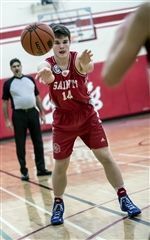 The U16 and Varsity Saints traveled to the Markham PanAm pool Thursday, January 17 for their second meet of the season. 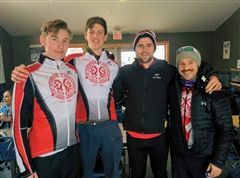 Over the Christmas Break, SAC Biathlon members, Thomas Childerhose and Mikey Bahen, raised the bar competing at the two-day Ontario Cup #1 Biathlon.